CranioSacral Therapy (CST) is a gentle, hands on approach to wellness. It releases tensions deep in the body. It normalizes the environment around the brain and spinal cord which allows your body to “self- correct”. Your body does the healing, the practitioner helps to facilitate it. $50 per session. Please continue to read for more information. What can you expect during a session? You remain clothed while lying face up on the massage table. I will be placing my hands at various “stations”. It is very relaxing and you may fall asleep. A session is approximately 40 minutes of wonderful, soothing bliss. Please don’t go home and mow the lawn after a session, allow your body to rejuvenate and heal. 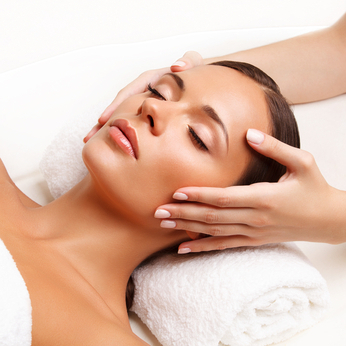 You can experience CST 1 along with your regular massage appointment time at no extra charge. It can be integrated into the massage time. How many sessions will you need and how often should you get a CST session? Every individual’s results are different, however, it is always beneficial. Many clients schedule a monthly “wellness” session. In fact, I get a wonderful CST session every month. It’s time for you to schedule your “wellness” session, too!